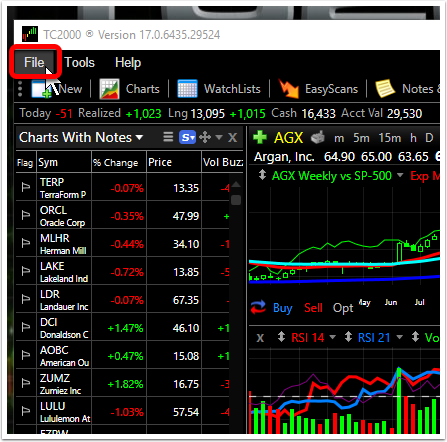 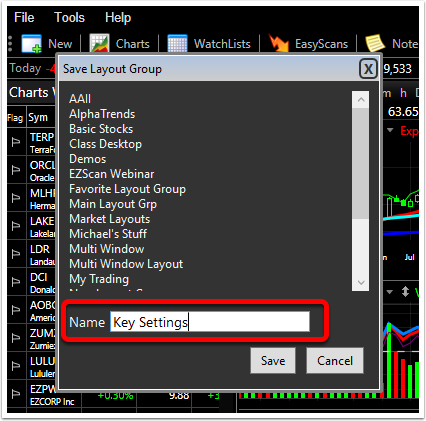 A Layout Group refers to a group of Layouts (each of which contains multiple tool windows like Charts, more than one WatchList, News and Notes, a User Group window, etc.) 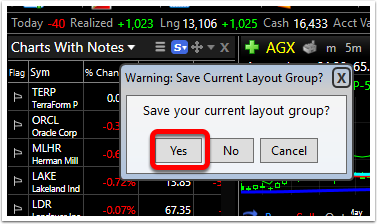 A Layout Group can be created for any reason, contain up to 20 layouts and be saved/recalled at any time. 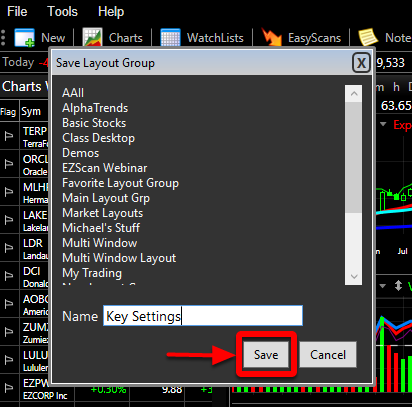 When a Layout Group is opened, any currently viewed layouts are stored in the library and the new Layout Group appears. 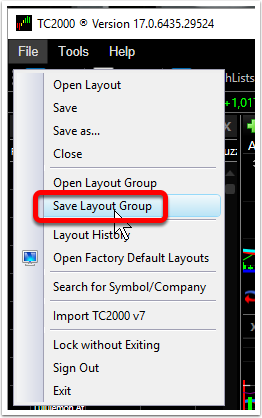 Here are the steps for saving a Layout Group. 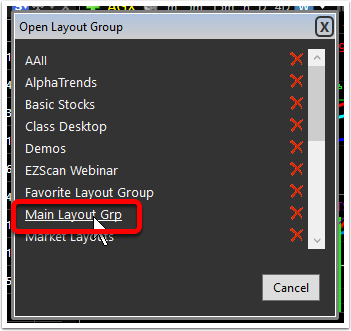 This places the current Layout Group in the Layout Group library. 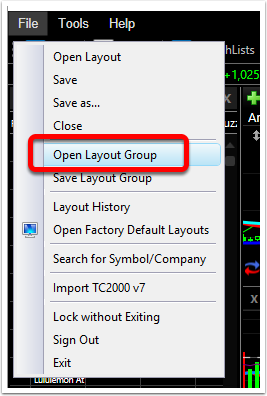 Choose the desired Layout Group from the library to open that Layout Group.